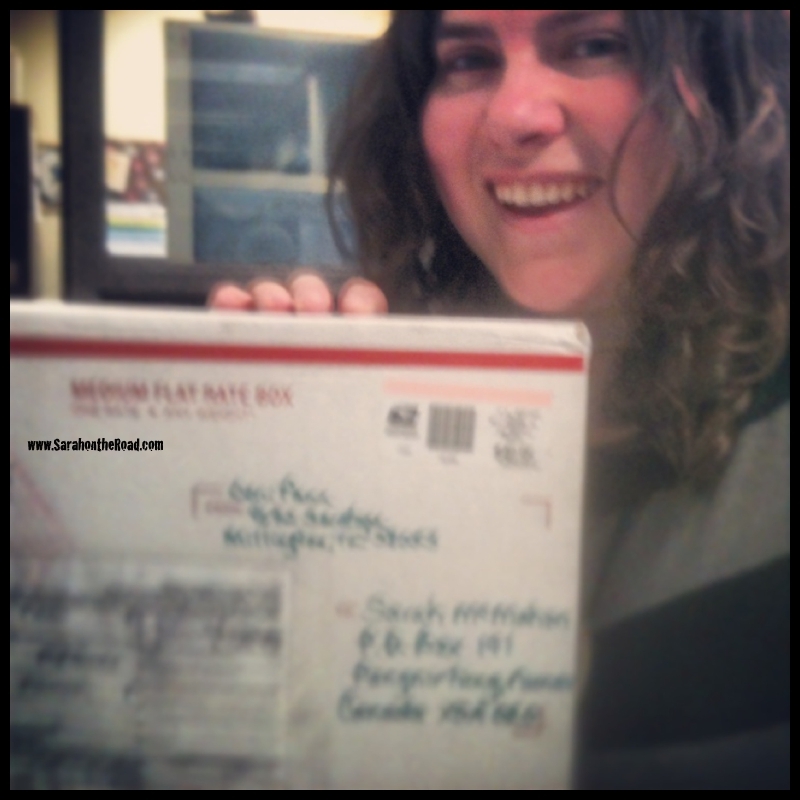 Last year I participated in Fat Mum Slim’s International Christmas gift exchange–the one where you stalked your giftee via social media and then send them off a wonderful surprise in the mail. In the Gift Exchange Facebook Group Carly Grace Lloyd announced how she was starting to organize A Bright Project for 2014. It would be designed to help women feel better about who they are as a person and encourage others by creating a *Bright* community. Throughout the Year Carly is sending out *bright tasks* for us to complete. Each month there is a personal task and then there’s a social task to help encourage another woman in the project to look and be the brightest they can be! 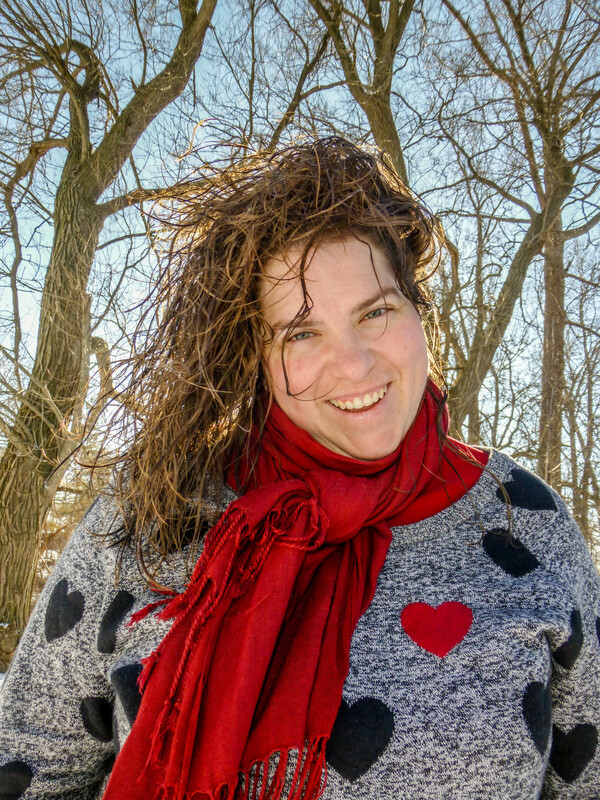 I wanted to join because I wanted to take time to reflect about where I’m going, getting snail mail and connecting to a larger community of like minded women. At first when I emailed Carly about the project…it wasn’t open to Canadians. But then she asked if I’d be ok joining the American group…and I said no problem! During our fist task…we had to pick a word for 2014. 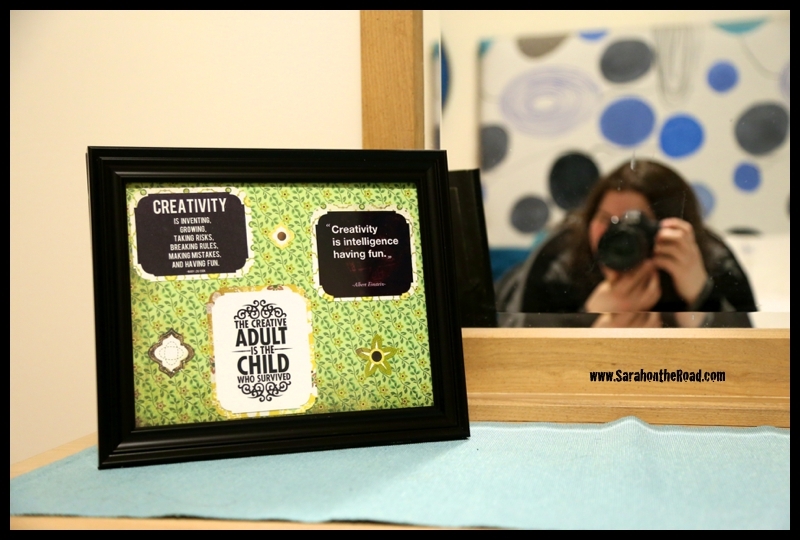 My word is: Creativity…It seems like until very recently, I’ve stopped a lot of the ‘creative’ tasks I did as a child and young adult. I want to start those hobbies up again, and take time to express myself using creative methods. I also want to push myself to think outside of the box…look for creative ways to reach my goals! It’s always good to switch it up. Friday before I left Pang for my holidays…I went down to the post office and found that my package from my *bright-half* had arrived! I was so excited…even though it was taunting me on my desk at work, I was busy finishing up things for work so waited until I headed home to open it all up. 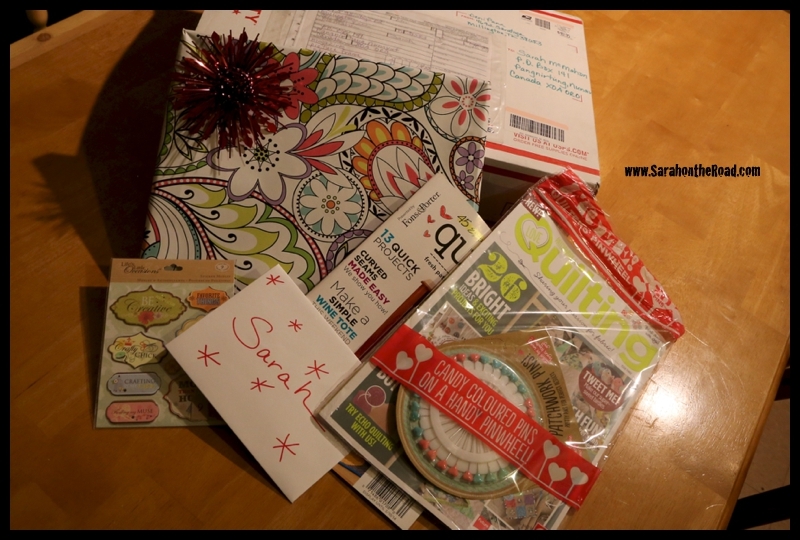 Here’s all the wonderful ‘surprises’ that were inside… two AWESOME quilting magazines…maybe I’ll get inspired to start a new one. But have to finish the one I’ve started first! A personalize note, and wonderful scrap booking quotes that I can put around my house and/or desk area to remind me to be creative! One of the tasks was to create a visual reminder for your *Bright-Half* to remember her word for the year… I absolutely LOVE the frame that was given to me. The quotes are so perfect…it’s already sitting on my dresser in my bedroom. Thank you SO much for your wonderful gifts! I’m excited to be a part of this project…I’m just finishing up Task#2. But I suppose that’s another story for another day! This entry was posted in Blogging Community, Crafty Projects on February 14, 2014 by Sarah on the Road.